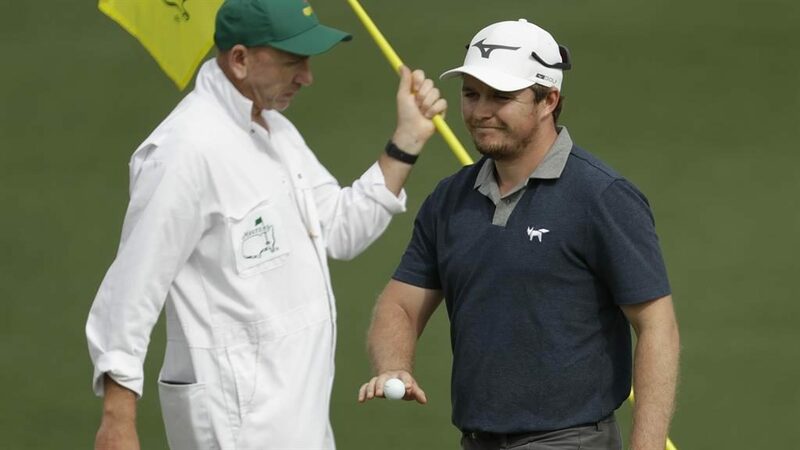 ENGLAND’S Eddie Pepperell posted a two-over 74 in his first-ever Masters round at Augusta. The Englishman had the ideal start with a birdie on the long second but found life a lot tougher after that, with five bogeys seeing him slip back to three over after 14. Successive birdies on 15 and 16 clawed back some of the damage for Pepperell (pictured) but then the 28-year-old dropped a shot at the final hole to give himself recovery work to do in the second round today. Sergio Garcia, winner two years ago, recovered his composure well after a double bogey on the sixth. The Spaniard birdied the eighth and, after giving another shot away at the tenth, he birdied 12 and closed with six straight pars for a one-over 73. Danny Willett, the champion in 2016, posted a three-over 75 on the opening day. His round was badly undermined by a triple bogey seven on the tenth. Former Open winner Henrik Stenson carded a 74.